Biscuits made with wholegrain cereals and chocolate and added vitamins. 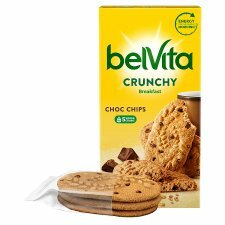 At belVita, we're passionate about breakfast biscuits. That's why we worked in harmony with our farming partners to source 5 of the finest wholegrains1. Baked together through our gentle baking process, these selected and nutritious grains are transformed to become tasty breakfast biscuits. They're the only breakfast biscuit proven to slowly release carbohydrates over 4 hrs, as part of a balanced breakfast. 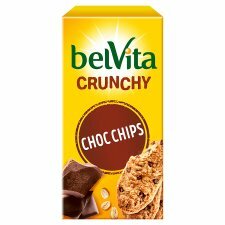 Why not try belVita breakfast Tops Choco-Hazelnuts? Contains 6 packs of 3 breakfast biscuits - a delicious way to start your day!